Congratulations are in order. My son-in-law’s cousin and her husband had a baby girl last week. You may have heard about them. It was all over the news. Mom delivered baby Layla in their car in the parking lot of the Country Inn on Moreland and Greenfield Ave! Unusual circumstances providing a beautiful new life for one family. As we enter into the Advent season this week, it reminds me of the birth of another baby under somewhat unusual circumstances. No parking lot, no car, no 911 call announcing the arrival. 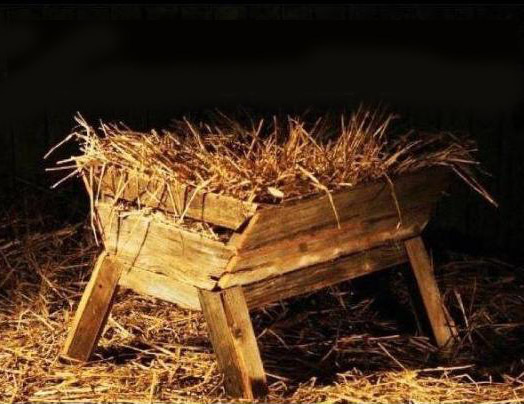 Just a stable, a manger, and a star. Unusual circumstances providing a beautiful new life whose sole purpose was to bring new life to all who would believe. Do you ever wonder what your sole purpose is? Why you were born? Try asking Siri that question next time she asks what she can help you with. ? I’m old enough to remember the Baltimore Catechism classes we had in grade school. It consisted of a series of questions about the Catholic faith and we were required to memorize the answers. That’s actually half true, I am old enough but I don’t remember much except for one of the questions that has stayed with me. It has had a profound effect on my life. The question was “Why were you born?” The answer: To know, love, and serve God in this life and be with Him for eternity in the next. Boom, bang, drop the microphone! Need I say more. If you’ve ever wondered why you were born, there it is in a nutshell. Nothing else should matter. If we spend our lives getting to know God, living in right relationship with Him, opening ourselves up to His immense love, mirroring that love to others, and discerning our gifts and where we are being called to serve with those gifts, we are living our sole purpose. So often I hear people talk about their desire to find purpose and how unsettling and scary it can be at those times in life when the purpose they were functioning under becomes blurred or pulled out from under them. A good portion of our sense of security and well-being comes from a solid feeling of purpose. When that is shaken, we are shaken. We need to keep our sights set on that sole purpose, on why we were born. That is where we find God, the ultimate security and well-being. Are you ready to live life with purpose, your “soul” purpose? Are you ready to be serious in your quest to know, love, and serve God? Give birth to a brand new you! Let this Advent be the time. 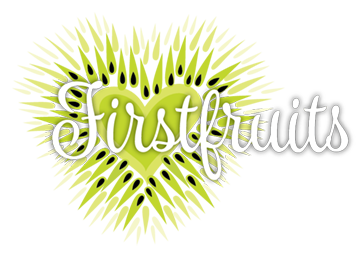 Let Firstfruits be your midwife. We’ll even meet you in the parking lot!